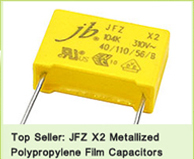 jb 22 types Motor starting capacitors with CE approvals! We want to share a great news with you! 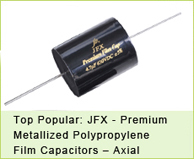 now our JFS Motor starting capacitors has CE approvals! With you exact request, we also can check and quote you accordingly. Welcome to send us your inquiry! 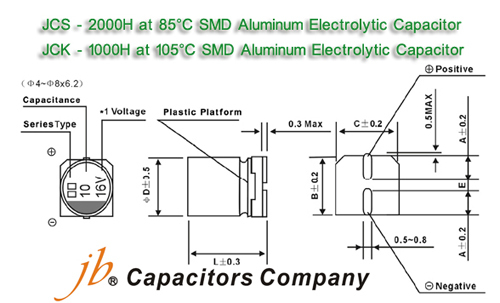 Speaking SMD Aluminum Electrolytic Cap, we have to explain what is the Aluminum Electrolytic Cap. 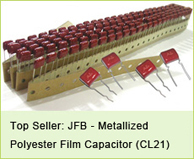 The so-called Aluminum electrolytic capacitors are constructed from two conducting aluminium foils, one of which is coated with an insulating oxide layer, and a paper spacer soaked in electrolyte. The foil insulated by the oxide layer is the anode while the liquid electrolyte and the second foil acts as the cathode. This stack is then rolled up, fitted with pin connectors and placed in a cylindrical aluminum casing. The Aluminum Electrolytic Cap include capacitors with axial leads, soldering star versions, screw terminals, snap-in and SMD(V-chip type). However, SMD Aluminum Electrolytic Cap is more and more popular with the customers. The most important reason is that SMD(V-chip type) Electrolytic Capacitors are designed for surface mounting on high density PCB(Printed Circuit Board).SMD capacitors being essential elements in miniaturization of electronic products, the getting-smaller trend is to deepen.Mini-notebook computers, CD-ROM, and LCD monitors are few examples of SMD capacitor applications.